Preview - IPL 10 - Royal Challengers Bangalore. If not the most successful team, Royal Challengers Bangalore has certainly been the most entertaining team in the Indian Premier League. They had a bland inaugural season in 2008 where they finished at the seventh position. But it was just a matter of time when they finished as the finalists in the subsequent year. 2010 saw them taking an exit from the IPL as the Semi-finalists. They topped the points table in 2011 but failed to get past Chennai Super Kings in the final match. They failed to qualify for the play-offs in 2012 and 2013 by just one position. Dropped to the seventh position in 2014. Played the play-offs in 2015 and emerged as the finalists yet again in 2016. They bought only five players in this year's auction, one of them being one of the most expensive buys of this year, limiting their remaining budget to INR 2.425 crores. A squad of 24 comprises of 15 Indian and nine overseas players. The most eye-catching deal for RCB was acquiring the services of England's Tymal Mills (INR 12 crores). He is T20 cricket's latest sensation and can prove to be the most apt substitute for Mitchell Starc. The fact that they did not buy a single specialist batsman in the auction says a lot about their already existing batting strength. Rajasthan's left-arm medium-fast bowler, Aniket Choudhary (INR 2 crores), who was called to Team India's nets before the Border-Gavaskar Trophy was also bought. Pawan Negi (INR 1 crore), who was perhaps pressurised by his own price tag last year, can prove handy with the bat down the order. The remaining two players were Karnataka's Praveen Dubey (INR 60 lakhs) and Australia's Billy Stanlake (INR 30 lakhs). Fans would want Kohli to recover before the opening match. It would not be wrong to say that RCB has the most dominating top order in the IPL. It has T20 cricket's greatest freelance cricketer, Chris Gayle. Two modern-day geniuses in Virat Kohli and AB de Villiers. 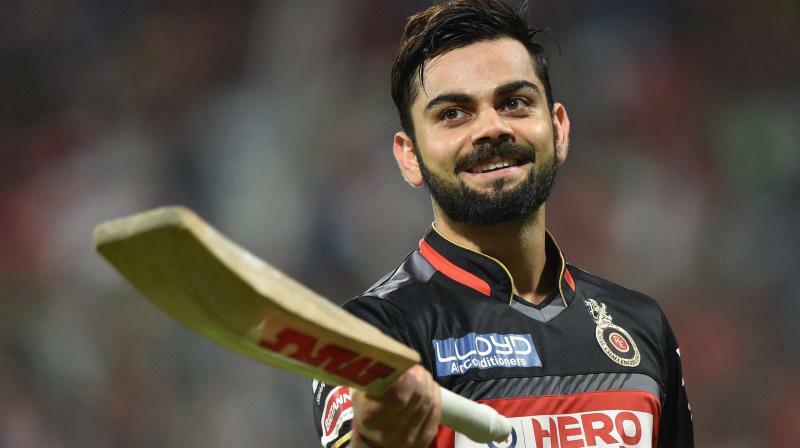 After scoring four T20 centuries in one season, Kohli did what no cricketer had ever thought of doing. Whether he will take part in the initial matches will be subjected to the recovery of his shoulder injury. To convert this trio into a quartet will be Shane Watson. 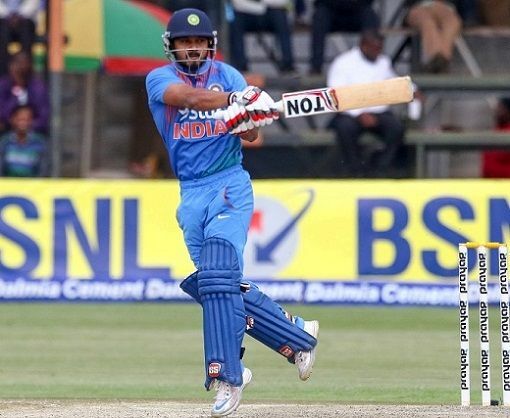 In Lokesh Rahul and Kedar Jadhav, Bangalore have two Indian batsmen who have started to make a name in the international arena. Rotating the clock back to the IPL final of 2016, RCB missed a power-hitter down the order. Pawan Negi has it in him to fulfil this gap. He can also shell out a couple of (or more) overs of left-arm orthodox. Yuzvendra Chahal registered figures of 4-0-25-6 vs England earlier this year. In what will be his first season as a capped player, he will be full of confidence. Harshal Patel and Sreenath Aravind are tried and tested faces at RCB. Tymal Mills will attract a whole lot of eyes in his maiden IPL season. Jadhav can emerge as the perfect 'finisher' for RCB. In the initial matches, Mandeep Singh might well replace Kohli at the top of the order, if such a situation arises. Sarfaraz Khan and Sachin Baby would be looking for their respective opportunities as the tourney goes on. Stuart Binny is another all-round prospect that will be looked upon. More than their batsmen, RCB's bench strength lies in their bowling division. World's most economical T20I bowler, Samuel Badree, would certainly be included in the squad at some point. In addition to his leg breaks, RCB's bench also has a rare commodity in South Africa's chinaman bowler, Tabraiz Shamsi. Aniket Choudhary and Avesh Khan will act as back-ups for the Indian fast bowlers. Iqbal Abdulla and Praveen Dubey will act as back-ups for the Indian spinners. If and only if, Mills is given a break or does not perform upto the required level, one out of express overseas fast bowlers in Adam Milne or Billy Stanlake can be drafted in. This blog gives a complete overview of the RCB. One can simply go through the blog and understand what will be the team like and what are the strength of the team. Nicely Written @cricketzelo ! Preview - IPL 10 - Delhi Daredevils. Preview - IPL 10 - Gujarat Lions. Preview - IPL 10 - Sun Risers Hyderabad. Preview - IPL 10 - Mumbai Indians. Preview - IPL 10 - Kings XI Punjab. Preview - India vs Australia - Fourth Test. Review - India vs Australia - Day 4. Preview - India vs Australia - Second Test.